The Havant Orchestras have a busy time coming up, with three concerts over a period of only six weeks! Firstly, Havant Chamber Orchestra are performing on Saturday (9th February) at Ferneham Hall in a programme that for the first time includes Vaughan Williams’ ever-popular “The Lark Ascending”, with outstanding local soloist Sara Deborah Timossi. This uniquely English work was number 1 in Classic FM’s “Hall of Fame” in 2017, and number 3 in 2018. The other works include Beethoven’s Symphony No. 4 (with its especially beautiful slow movement) and his violin Romance in F, and the concert starts with Wirén’s delightful Serenade for Strings. Robin Browning has much more to say about Sara and this concert in his notes below. Next we have a Sunday afternoon concert on 3rd March by the combined Havant Orchestras (including past players) to celebrate our memories of our founder Peter Craddock. 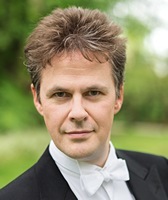 The programme includes the Brahms Double Concerto with Duncan Riddell (RPO leader) and Richard Harwood (RPO principal cello and a familiar soloist with the Havant Orchestras since age 15). Many who knew Peter and were involved with the Havant Orchestras in the past have been invited to join this event either as guest audience members or as guest players. It is reassuring for the future that we also have quite a number of new players who never worked with Peter but are now enjoying playing with the orchestras that he founded and are looking forward to this concert. More details about this concert are included below, and we are extremely grateful to Mark Wigglesworth for preparing and conducting this event, with help from Toby Purser and our current bursary conductor Stefano Boccacci. We hope this will be a very special occasion, and that people will stay on for a while for chat and additional refreshments after the end of the performance. 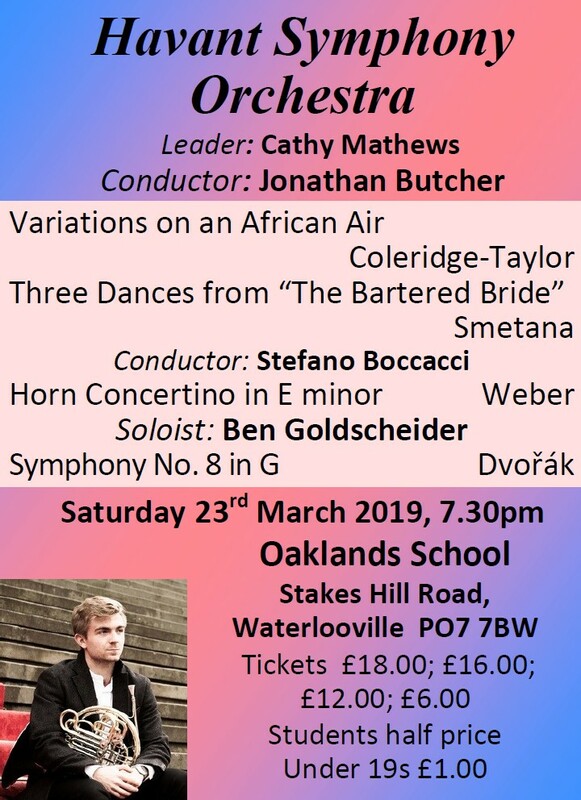 Finally, Havant Symphony Orchestra’s next main concert is on Saturday 23rd March, as described below. There will be more about that concert in the next newsletter. Our soloist Sara Deborah Timossi and conductor Robin Browning will be talking to Tim Griffiths about the works in the concert. The pre-concert interlude in the Octagon Lounge will consist of a short piano recital by a pupil of Karen Kingsley. Happy New Year and welcome to more musical explorations with Havant Chamber Orchestra. Our concert this Saturday combines one of the best-known and -loved solo items in the repertoire, with one of the lesser-known of Beethoven’s symphonies. 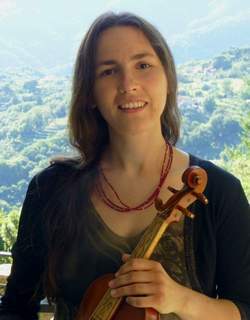 It will be a joy to welcome the virtuosic talent of Sara Deborah Timossi to share the stage with us in Vaughan Williams’ “The Lark Ascending”. Sara is based locally, making music as a soloist, chamber musician and orchestral director around the region. Sara and I have worked together a number of times in recent years, a highlight being the Brahms concerto with Petersfield Orchestra. She plays with a real insight, an intelligent approach to what’s beneath the music, coupled with a gorgeous sound and charismatic presence on the platform. And of course Vaughan Williams’ masterpiece needs little introduction: one of his greatest works, weaving a tapestry of modal beauty, folk song and sweet melancholy, it never fails to capture the quintessence of Englishness. As a (very) young violinist, I remember studying and preparing the solo part myself at school (I was a bit of a Vaughan Williams geek as a teenager, I couldn’t get enough of those harmonies and flattened 7ths), eventually performing it, bow shaking madly. To this day I’m in awe of how great players master such control - not only in this piece, but throughout their careers. Opening our programme is the Dag Wirén Serenade for Strings, which is a little hidden gem. The Scandinavians have always had a real knack for brilliant string-writing, from the Holberg Suite, through the many works of Sibelius, up to the 20th century and present day. Listen out for the oft-used TV theme in the Serenade’s finale. Beethoven’s 4th symphony has always been one of my favourites, yet doesn’t come out so often, perhaps due to being sandwiched between two giants. Despite this, I prefer it to both of them – as both a performer and listener – and always wish it were played more often. The opening movement is simply incredible – that slow introduction which yearns to be partnered with Mahler 1 (I’ve always wanted to programme them next one another), followed by an explosive kick-start to the quick tempo. This is followed by one of the most breathtaking of Beethoven’s slow movements. I’ll never forget the first time I watched Carlos Kleiber’s legendary film of this symphony with the Concertgebouw as a student (if you’ve not seen it, head straight to YouTube). In a few short bars I realised how little I knew of the world’s subtleties, and of how much possibility there is in every bar of any music, should we be capable of seeing it. Truly a game-changer for me. I hope you enjoy our performance, and – as always – would love to hear your thoughts and ideas. (c/w Symphony no.3, Sinfonietta, and Divertimento). (c/w Symphony no.6 and the Tallis Fantasia). LSO Live LSO 0587 £8.50. See our website for lots of information including all of our concert details, newsletters, links to buy concert tickets, directions to concert venues, historical information (about the orchestras, works performed and soloists), event listings (including other orchestras), contacts, music library, rehearsal schedules etc.